This chunky basket pattern comes with lots of photos to help you complete the basket from start to finish. 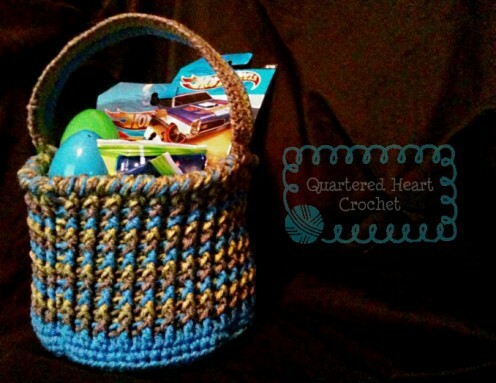 The basket is perfect for Easter or any other holiday where a basket is in need. To crochet this you will need three colors of worsted weight yarn and a J, I and F crochet hook. If you enjoyed this free crochet pattern you might also enjoy more designs by Holyjeans30.